Effingham Police Officer Tom Webb is truly a leader within his team. From creating a team with his co-workers to volunteering at events, Officer Web creates a connection for him and his team. Officer Webb began plunging when he worked at the Centralia Police Department. When he started at Effingham, he noticed that no one at the station participated in the Effingham Polar Plunge. The next year (2012), Web started a team and a new tradition of members of the Effingham Police Department taking the Plunge. Depending on the team members’ work schedule, there are usually seven to eight members. The team expanded last year to include the Effingham County Sheriff’s Department. 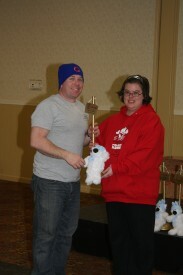 A unique thing about Officer Web’s team is that it has won the Golden Plunger for Best Dressed three times. The first time, the team dressed up as Cousin Eddy from the “National Lampoon” movies. The second award was won when the team became “zombie cops.” Last year, the team won for dressing up as Will Ferrell characters. This year’s costume? You’ll have to wait and see. 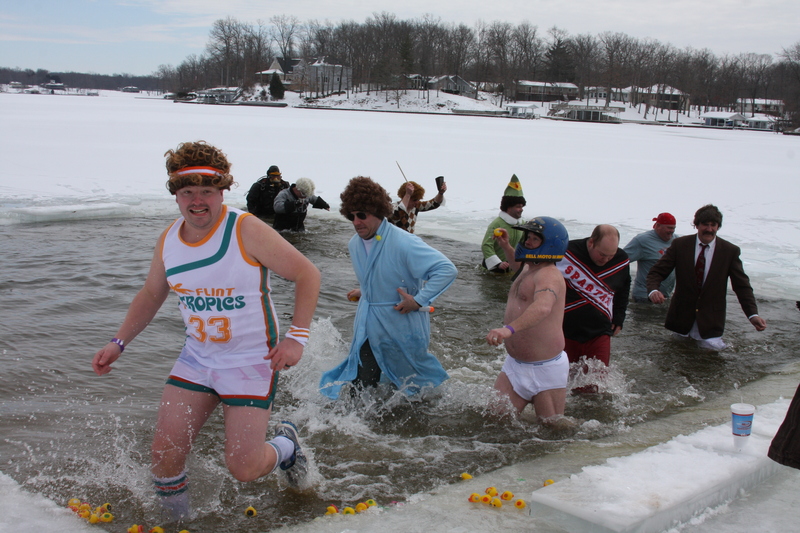 Social media has helped the team fundraise for the Plunge. “The ability to copy and paste the link and send the message out is very easy for us to use,” Webb said. Webb says that warming up after the Plunge is tricky, but a warm meal after the Plunge is a good start. He continues his advice saying that anyone who is plunging or considering plunging should “donate some time and volunteer at a Special Olympics event.” Volunteering at events changes the way plungers see the Plunge. “My favorite part of the Plunge is the fact that it brings all of co-workers together and we have a great time while raising money for Special Olympics,” he says. Everyone at the Plunge has a good laugh that day because of the costumes. Besides participating at the Polar Plunge, Webb selects one person from the police department to help him volunteer at the SOILL East Central/Area 9 Spring Games at Eastern Illinois University in Charleston. He enjoys taking a co-worker to the events and showing them how much fun they can have with the athletes. The Effingham PD team will be plunging again this year at noon Saturday, March 5, at Lake Sara in Lake Sara, Effingham. If you are interested in joining Officer Web and his team for the Effingham Plunge or want to plunge at any of Illinois’s 21 locations, visit PlungeIllinois.com.